I think it’s possible to take any interest too far. Take fractals for instance. 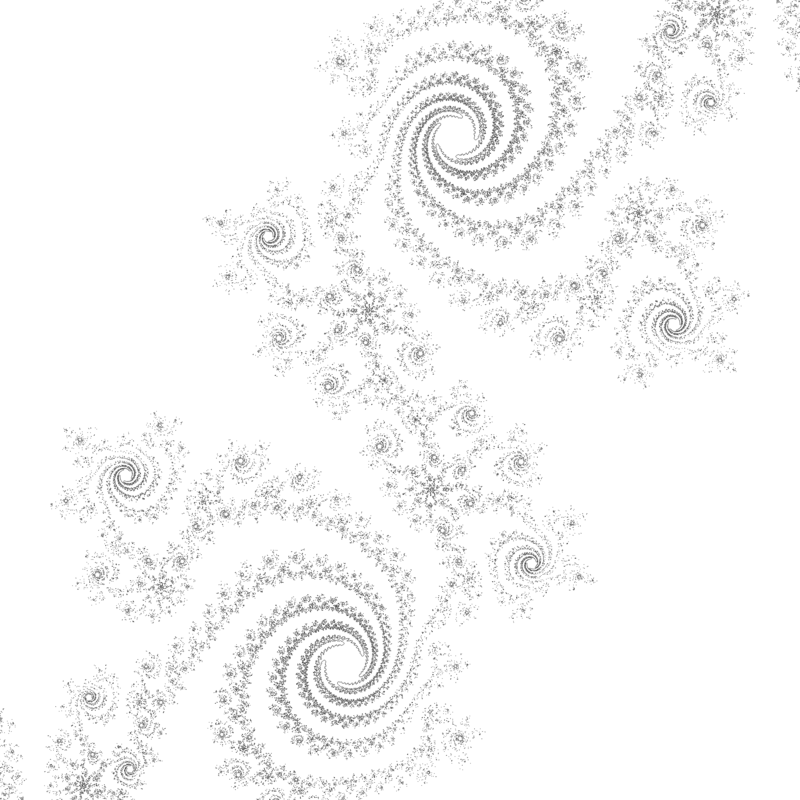 I love generating hundreds of fractal images, and as you may know 😉 I’m writing a book about them. What’s most fascinating to me is how intricate fractals look, yet how simply they are made. Occasionally I have made the argument, when talking to more mathematically and scientifically inclined friends of mine, that fractals are something that strengthens my faith in God and an ordered universe. Fractals create order out of chaos, and chaos out of order (just look at the chaos game, and dives into the Mandelbrot set). To my mind, it doesn’t seem rational that the world and mathematics behaves this way, unless it was created to do so. Some people take this idea a few steps further. Now frankly I haven’t read much more than the descriptions for most of these books, but most seem to demonstrate only a basic understanding of the nature of fractals, and are applying them in a broad holistic way. “Fractal” in this context often means connections, within ourselves, with nature and with the cosmos. In this way fractals are being used to do more than suggest the existence of God, but also to create spiritual awakenings within ourselves, to new ways of looking at the universe and our relationship to it. With specific regard to intelligent design you can use fractals to make the argument the other way. Fractals are a sign that the universe is naturally inclined toward order, therefore seemingly random mutations in evolution may have a natural tendency toward higher forms such as ourselves. See how this breaks down? I think where fractals, and other wonders of physics, math, and nature, serve us best is to instill a sense of wonder. Whether you believe the universe is God breathed or big-banged, there is something simply captivating about the complexities of our world. Fractals can not only model physical objects like mountains and plants, but also the behavior of financial markets. And they look pretty cool too. I’m not saying your faith can’t be enriched by fractals, or particles like the Higg-Boson, or even a rainbow. But maybe these things serve best not as proof for faith, but simply as an expression of awe, or greater understanding of how things work. They can enrich our experience of faith, but the root is somewhere else. You need to commit this fractal to canvas. Seriously, it could be your “Starry Night”! Ha ha! I’ll have to figure out how to make that happen. Glad you liked it John! Yes, precisely! Thank you for pointing it out: rather than get all tripped up on ideology, the thing to take away is a sense of wonder. Fractals do leave me wide-eyed, delighted, and gaping sometimes, and I love it when anything has the power to do that for me. Glad you liked the post. I think the property that fascinates me the most about fractals is how tiny variations in generation method or where you look can produce wildly different results, yet you can still see the connections. Thanks for stopping by!